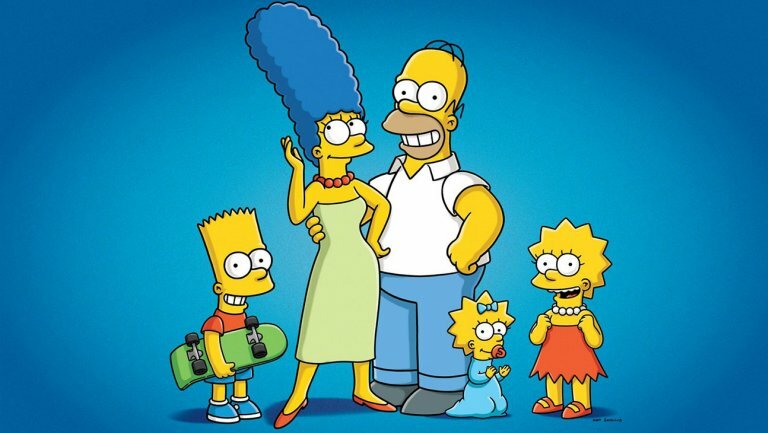 We have some news for the Adult Simpsons Fans! If you are a Simpsons fan and you enjoy playing ‘Cards against humanity,’ then buckle up and prepare yourself because we are now presenting you Cards against Springfield! How great is that? Finally, we can now use our favourite lines and quotations from the show in real life. And as we know that the TV show is appropriate for all ages, it’s a bit different with this game as it contains NSFW references and is full of adult humour. So, all adult Simpson fans it’s time to get busy! For those who are not familiar with the original game “Cards against humanity,” it’s basically a game that includes black and white cards. The black cards consist of incomplete sentences of different categories which are completed by the words/phrases/sentences written on the white cards. Two or more players(usually and preferably more than two) play this game. Every player must draw about ten white cards each to start. A Card Tsar(basically a king), chosen at random, starts the game by picking a black card(fill-in-the-blank) and reading it aloud. The other players then select the best/funniest completion sentence that they can find in their white deck of cards and anonymously hand it out to the Card Tsar, face down. 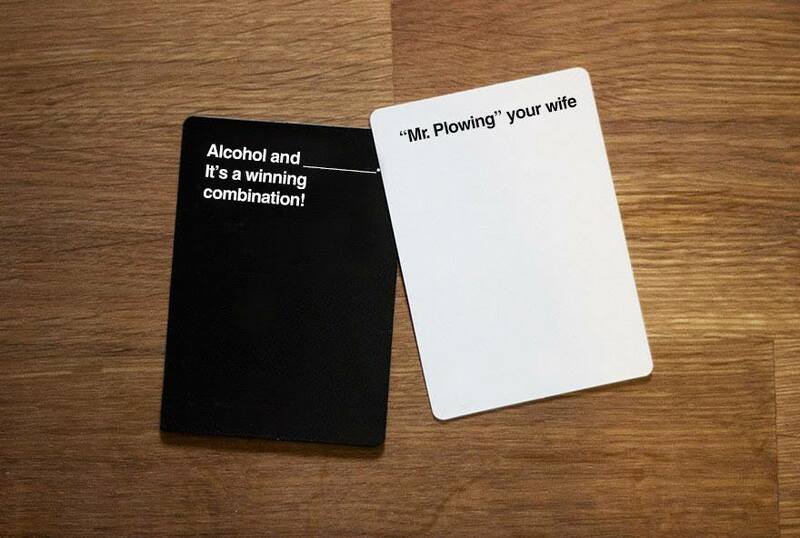 The Card Tsar then combines the connecting sentence on the white cards with the black card and comes up with a whole new hilarious sentence. After repeating with all given white cards, the funniest combination is chosen by the Card Tsar which grants a point to the rightful player. That’s round one of the game, and everything is repeated with a different Card Tsar in the next round and so on. 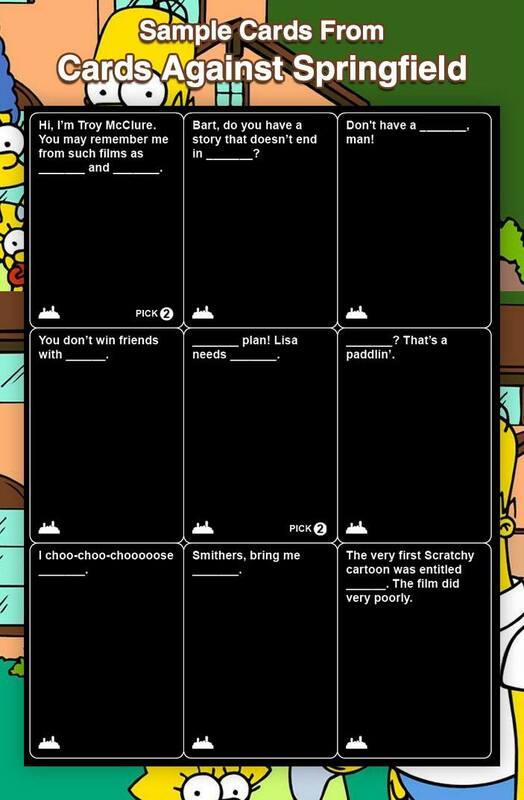 Now, the game Cards against Springfield works precisely in the same way. 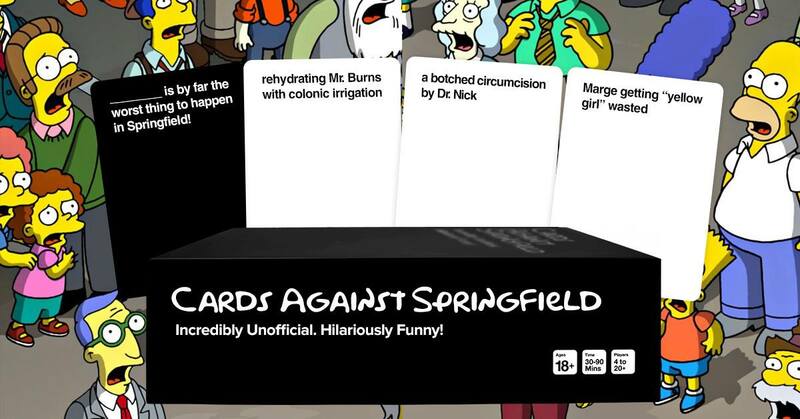 In fact, it is a parody of Cards against humanity. So if you as a Simpsons fan enjoyed playing the latter, you would love playing this one. Here are some of the sample cards from the actual game. As you can see, these black cards have a missing blank space. In response, the white cards will suggest random possibilities that will help create hilarious sentences after combining both. Unlike the actual game, Cards against Springfield consist more white and black cards making it long-lasting and entertaining with countless Simpson references. It’s the perfect game to play with your Simpson friends! You can download the digital version of this game from their website. And if you liked this game leave a comment below, and share your thoughts with us!